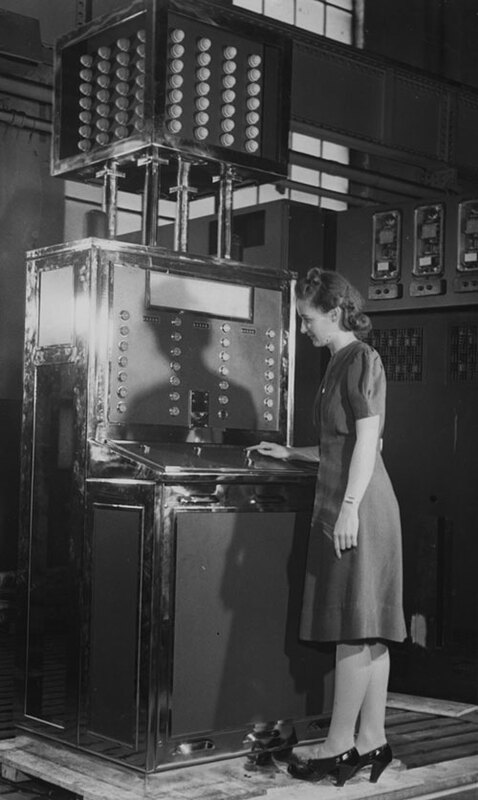 In April, 1940, in the Westinghouse Pavilion at the World's Fair in New York (together with Westinghouse's robots Elektro and Sparko) was shown an electromechanical computer, playing the Nim game. The originator of the idea was Edward Uhler Condon (1902-1974), who in 1937 was employed at Westinghouse Electric, where he became Associate Director of Research. 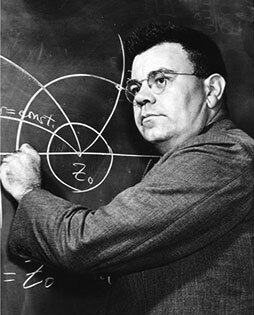 Edward Condon later became a prominent American physicist. The machine was patented in September, 1940, to Condon and two Westinghouse engineers from the relay division in Pittsburgh, Gerald Tawney and Willard Derr, who created the device (US patent Nr. 2215544). The gadget was a special purpose digital computer, designed in the winter of 1939 by Condon for the sole purpose of entertaining, and its logic was built of electromechanical relays, while the output allows the ignition of four lines of seven light bulbs. The idea of making a machine for playing Nim comes to Condon when he realized that the same calibration circuits used in Geiger counters (although built with ordinary electromagnetic relays, not by valves), can be used to represent the numbers defining the state of a game. The Nim game was played by thousands of people (at least 50000) at the Fair. The Nimatron was able play only a limited number of strategies, which made it easy beatable (in fact, during the fair over 90% of games are won by the Nimatron). Despite this success, Condon considers the Nimatron one of the biggest failures of his career, because he has not grasped the potential of the machine. As Condon recalled "this was a good four or five years before Johnnie von Neumann and Eckart and Mockley and all this digital computer business, and (I) never thought of it in serious terms; I just thought of it as this gag thing, yet the circuitry and all that was exactly what was later used for computers, for programmed computers". Nimatron was the first gaming-only computer and Nim's first gaming machine, but its impact on digital computers and computer games was negligible. The invention relates to control apparatus and has particular relation to electrical apparatus for automatically making the moves of one party in a game between two opponents. It provided a device for playing Nim and for displaying the arrays and moves while the game is being played. Nim is played by two opponents with a plurality of sets of like elements. There may be any arbitrary number of elements in each set but it is preferred that no two sets shall have the same number. The players make their moves alternately as in checkers and each player, in his turn, may remove any number of elements from any one set. A player may remove elements from different sets during different moves. The player who removes the last element leaving no elements to be removed by his opponent is the winner of the game. The machine provided a system in which the like elements used in playing Nim are a plurality of sets of lamps. Any combination of sets may be established by extinguishing certain of the lamps in each of the sets. The lamps are connected in circuits which are controlled by manually operable switches. A player may in his turn extinguish any desired number of lamps in any one set only by operating a switch. Thereafter he may operate an other switch, causing certain additional lamps in one of the sets to be extinguished automatically. The operations may be repeated by the player until either he or the machine extinguishes the last lamps. Preferably the number of lamps initially energized is such that the player who operates the control element may win, if, in his first move, he establishes a winning combination and if he maintains the winning combination when making the following moves in his turn. However, if the player makes one incorrect move, the machine sets up the winning combination and thereafter the player is certain to lose.